In order to convert the HEIC photos to JPG or other popular photo formats, you should firstly sync and store those HEIC images from your iPhone/iPad/iPod to your Mac. Open Joyoshare HEIC Converter for Mac, find the newly synced HEIC photos on computer and drag them to the conversion window. Or alternatively, you can click the bottom left "+" button to locate and import the HEIC images to Joyoshare for conversion. 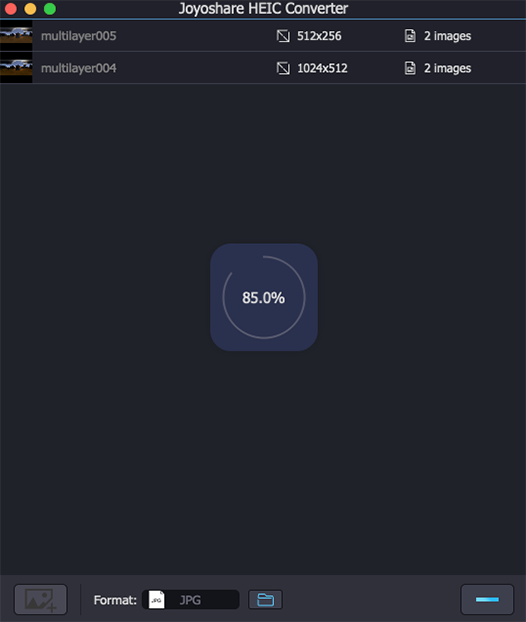 It supports single and batch conversion modes so that you can add multiple photos to convert each time. 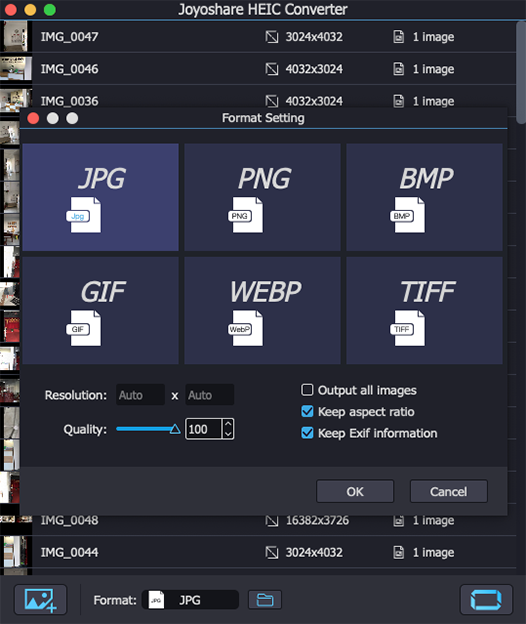 Under Format menu, you'll be required to adjust the output photo format and quality. Currently Joyoshare HEIC Converter for Mac provides JPG, PNG, GIF, WEBP, BMP, TIFF as output formats. You can choose any one you like as well as set the image quality according to your own needs. Now simply click Convert button and it will automatically begin to convert your HEIC images to JPG, PNG or other formats in seconds. Once converted, you should click the history icon to locate those converted JPG photos. You can also follow this video tutorial on how to use Joyoshare HEIC Converter for Mac to convert HEIC to JPG, PNG, GIF, BMP, etc. with a few clicks only. 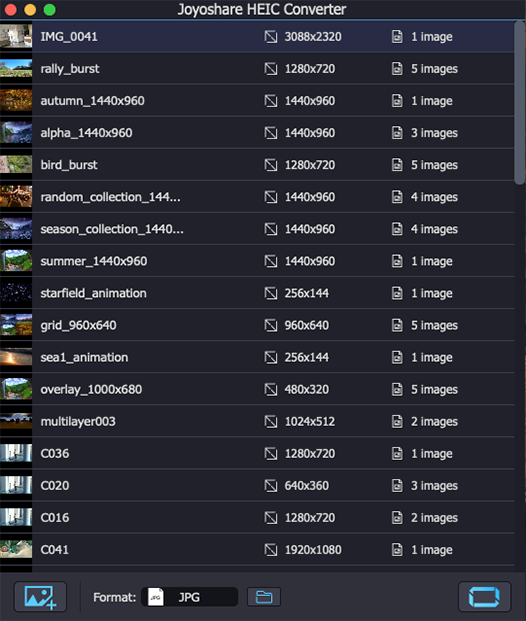 A smart Live Photo converter to convert and edit any Live Photos to GIF, JPG, BMP, TIFF, etc. on Mac in high efficiency. Dedicated data recovery tool for Mac to retrieve 20+ data files from iPhone/iPad/iPod touch, iTunes or iCloud backup.